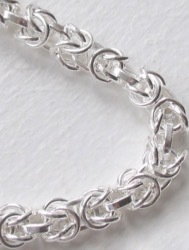 A byzantine chain is an intricate design with involved interlinking. 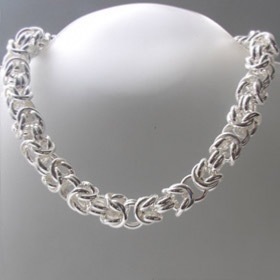 Here are different interpretations of this favourite design - a classic byzantine chain and a graduated byzantine chain which sits flat to your chest. 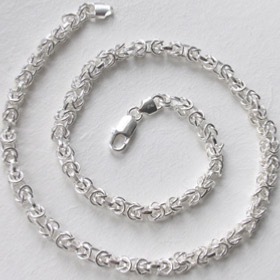 Both are made in Italy in sterling silver and offered in a variety of lengths from 16" to 26". See the matching byzantine braceletto make a jewellery set.